Many older American cities are facing problems such as loss of industrial base, aging infrastructure, poverty and crime. The city of Oakland, California is an example of the Lincoln Institute of Land Policy’s prescriptions, as described in its policy report “Regenerating America’s Legacy Cities,” for revitalizing legacy cities. While the report focused on New England, Mid-Atlantic and Midwestern cities that, “were once industrial powerhouses and hubs of business, retail and services,” older industrial cities in the West have suffered from similar social and economic forces. Poor and heavily minority populations are in cities that suffer from a diminished economic base and increased need for services, while economic activity has moved beyond the city’s political boundaries. Legacy cities in the West do not share the declining population and less than robust regional economy of the struggling Northeastern and Midwestern cities. But just as some of the problems are similar, some of the recommended responses are being adapted to fit the different economic reality of the West’s center cities. Oakland is capitalizing on a growing regional population and a robust tech-based economy for sustainable regeneration by using its legacy assets of an architecturally and culturally rich central core and multi-modal transportation network. In a Planetizen blog post titled “Oakland is Cool,” I described how the tools of urban design are being used to recreate the physical environment. Here I will focus on building on the legacy assets in adapting the city to a new economic reality. 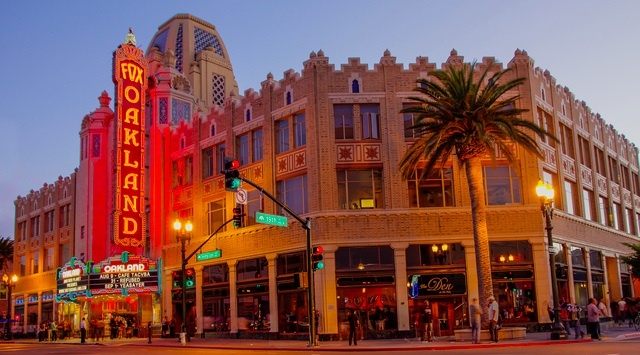 In the hard times of post World War II urban disinvestment, many of downtown Oakland’s stores, theaters, dance halls, restaurants and nightclubs closed. Those structures were replaced by surface parking lots. Today, the grid pattern of city streets diagonally intersected by boulevards, the elegant remains of an historic architectural fabric, existing and newly created public spaces, and excellent public transportation are the basis for land use planning that is designed to meet new needs, create jobs, protect existing residents from displacement and find new uses for the historic buildings that survived. 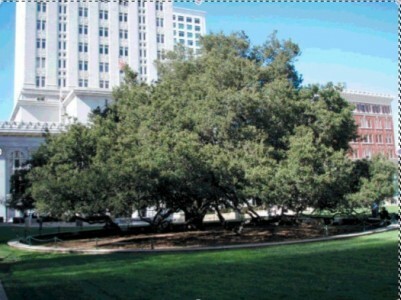 Oakland’s historic architectural fabric—which includes Beaux Arts City Hall and City Hall Plaza, now Frank H Ogawa Plaza—is planted with the oak trees that were on the site when the city was founded. Two early 20th century movie palaces have been repurposed. 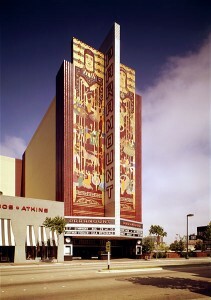 The Paramount Theater (circa 1931) and the Fox Theater (circa 1928), now owned by the City of Oakland, are venues for arts activity. The Paramount houses the Oakland East Bay Symphony and the Oakland Ballet. The Fox Theater is a live music venue and home to a tuition-free charter school, The Oakland School for the Arts. 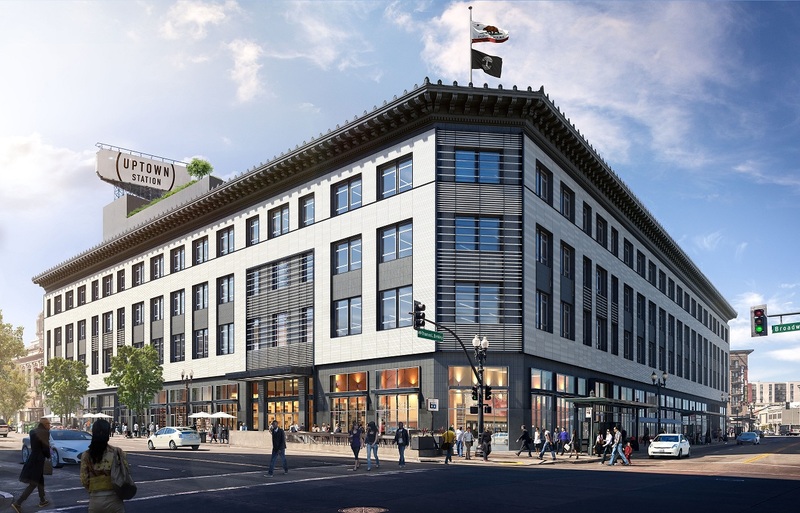 A 1929 Beaux Arts building that began its life as a department store is undergoing restoration and will become headquarters for Uber, the ride-sharing service. The ground floor, with its direct access to a BART station, will be a marketplace with dining, coffee and takeout food. Surface parking lots are being developed with housing. City centers need residents to support businesses that stay open beyond daytime office worker hours. In 1999, Oakland Mayor Jerry Brown conceived a plan to build housing for 10,000 new residents. The 10K plan included the Forest City Uptown development of 665 low-rise apartment buildings to match the low-rise scale of surrounding buildings west of Telegraph Avenue, a main downtown arterial. Housing construction in downtown continues with proposals filed and permits in place for the construction of 1,500 new units. Oakland’s multi-modal transportation network is another significant legacy attribute that is being updated to fit new uses and new users. Oakland’s tree-lined sidewalks, bike lanes, Alameda Contra Costa Transit District (AC Transit) bus nodes and 3 Bay Area Rapid Transit (BART) stations have earned Oakland a downtown walk score of 97, a transit score of 83, and a bike score of 84. Oakland is No. 9 on Walk Score’s 2015 ranking of most walkable cities. Young and creative persons are drawn to legacy cities such as Oakland because they rekindle the romance of the city. Like Willie Nelson and Paul, they are receiving their education in the cities of the nation. While we know that attracting creative types and providing space for their work and play does not solve the problems of poverty, high crime rates and under-performing schools, it does improve the tax base and add enthusiasm to the goal of making the city better for all its residents.